KNARESBOROUGH/ HARROGATE PLEASE NOTE CAR PARK IS OPPOSITE THE ECO HUT IN THE GRAVELED AREA AND NOT IN THE PUB CAR PARK. 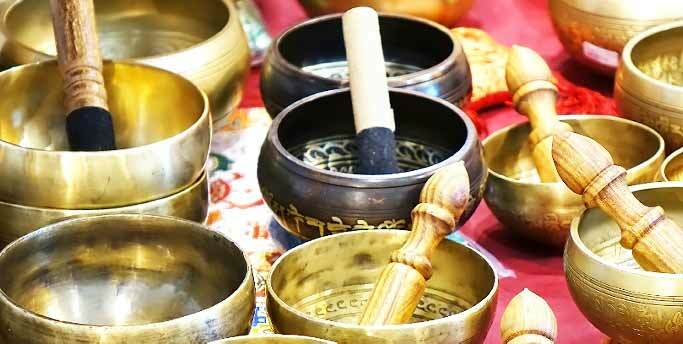 Sound has been utilised in various cultures for thousands of years as a tool for healing. Whether through the use of mantras, these various techniques all have the same intention: to move us from a place of imbalance to a place of balance. How does it work? Sound healing, or Vibrational therapy, works by using certain sound frequencies and waves to reduce stress and anxiety, and to create a meditative and relaxing state. Sound helps to facilitate shifts in our brainwave state by using entrainment. Entrainment synchronises our fluctuating brainwaves by providing a stable frequency which the brainwave can attune to. By using rhythm and frequency, we can entrain our brainwaves and it then becomes possible to down-shift our normal beta state (normal waking consciousness) to alpha (relaxed consciousness), and even reach theta (meditative state) and delta (sleep; where internal healing can occur). This same concept is utilised in meditation by regulating the breath, but with sound it's the frequency that is the agent which influences the shift. Sound has helped many in the area of the North East and it is enjoyed by many and helped insomnia, vertigo, tinnitus, headaches and much much more. Come and try a session and see how rested, relaxed and renewed you will feel. Cost of a session is £12.00 IN ADVANCE OR £15 ON THE DOOR BUT NOT GUARANTEED. 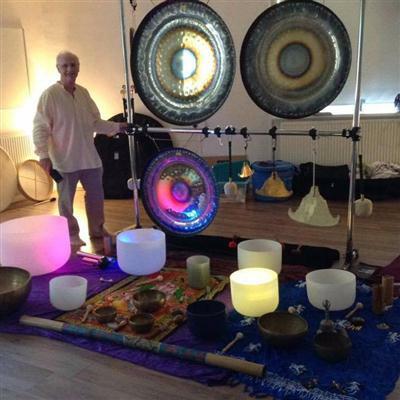 Tickets via Facebook - Sound Healing Lotus Academy UK OR Website:- www.soundhealinglotusacademy.co.uk PLEASE NOTE - Please bring something comfy to lie on e.g duvet/yoga mat including a pillow and a blanket for your comfort. Chairs are provided for those less able who is not able to lie down.